As a fan of yours, I wish you well with your new venture. Your personality and style are both incredible for all the video and photo work you've done. 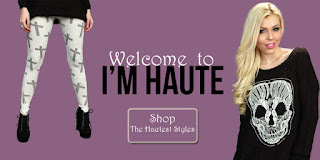 I'm sure this will carry into your new "I'm Haute" line. I wish you a happy and safe new year, and I also hope your venture is as successful as you want it to be (maybe even better).